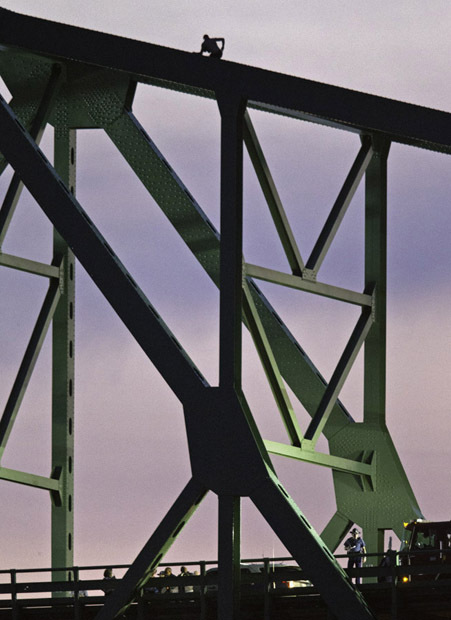 The man who climbed the Tobin Bridge shortly after the conclusion of last Wednesday’s evening commute had many first responders looking out for his well being. 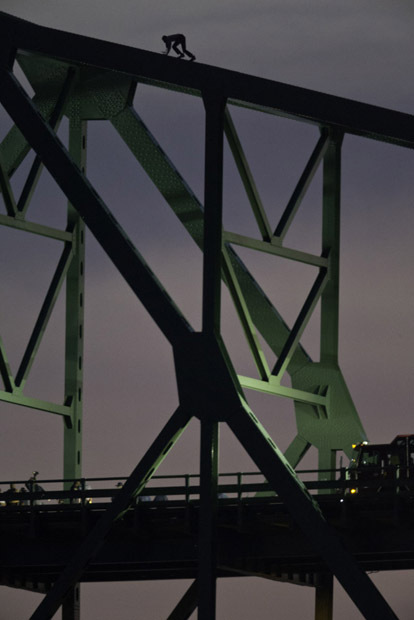 Police scanner broadcasts indicated that Boston EMS, Firefighters and Police from Boston and Chelsea, Massachusetts State Police, and US Coast Guard sent units to the bridge. 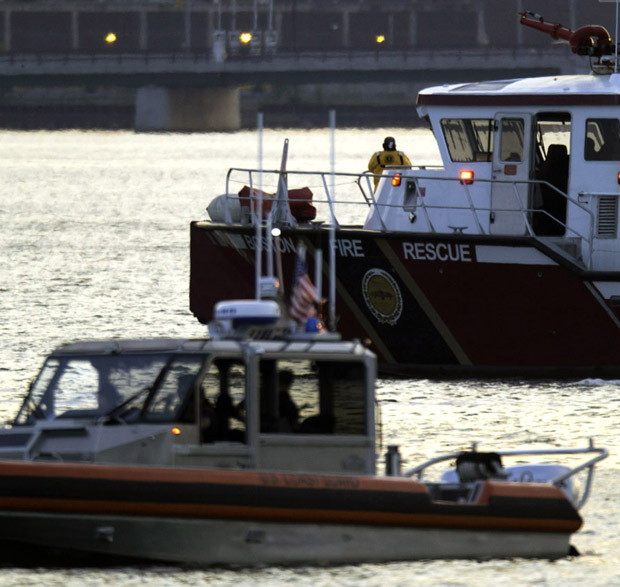 Boston Fire sent its Technical Rescue Unit, and Boston and Massachusetts State Police sent hostage negotiators. They were all very patient, as this effort took 2 hours. I was on scene to photograph, actually 1900 feet away in East Boston, according to Google Earth, when this drama played out. 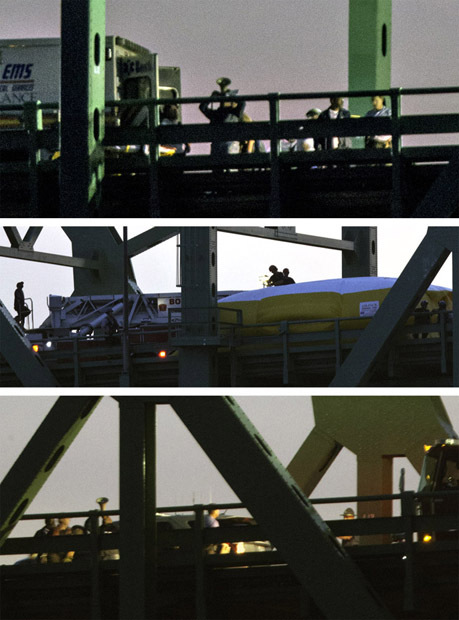 Photos below show an airbag inflated near Boston Fire’s Tower Ladder 3 on the upper deck roadway, a hostage negotiator with a bullhorn, and rescue boats in the water below. 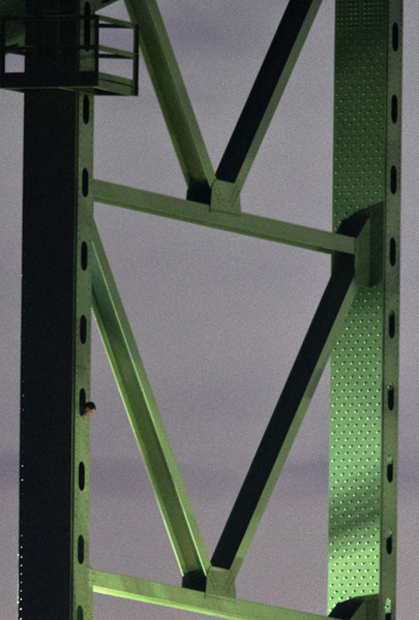 At one point the man can be seen inside one of the open air windows inside a steel beam, peering out. A first responder on scene told me later that night that the man had an amazing grip. The event was quite pressure packed for me. 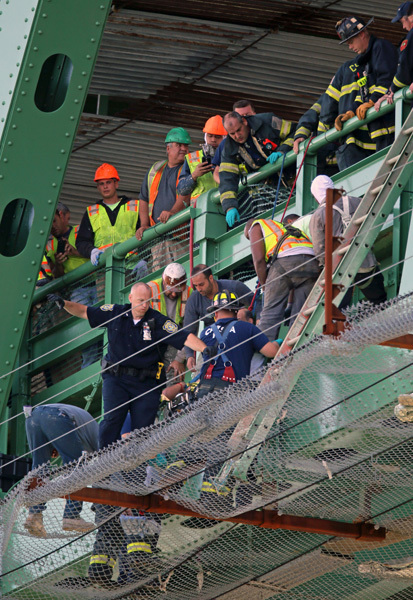 I hoped rescuers would save the man and did not want to see him fall. 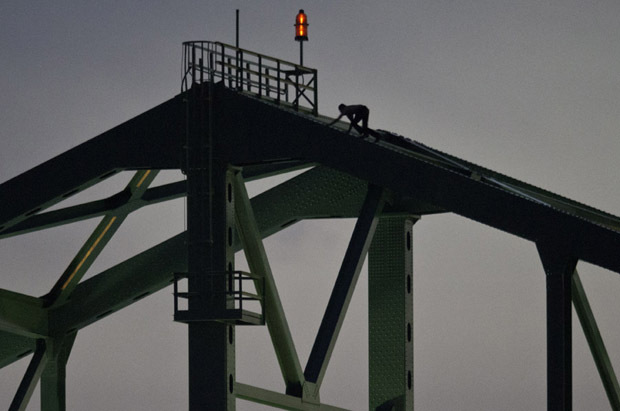 The final photo shows the man beginning his climb to safety. Below are several of my photos, including one that appeared in the Boston Herald. Herald colleagues, Matt Stone and Christopher Evans were also on scene, and their photos can be seen at the following link. 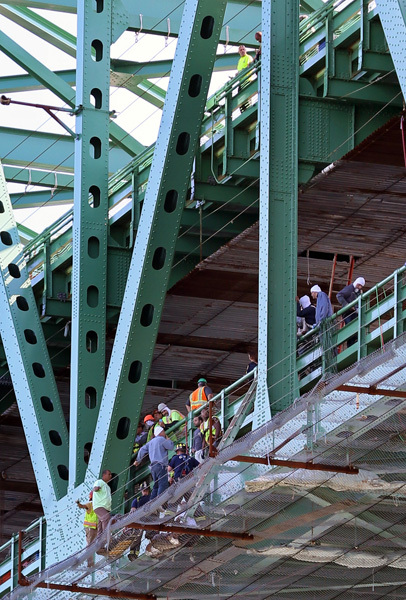 Chelsea police officer Paul McCarthy was awarded a medal yesterday for his life saving actions on Saturday, atop the Tobin Bridge, according to the Chelsea police website. 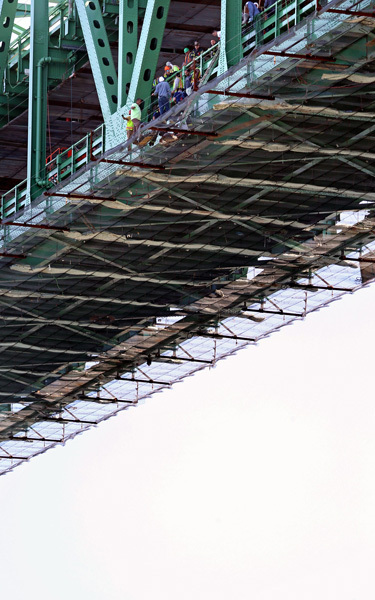 A man had allegedly assaulted his wife and was on the run when a Chelsea cop spotted him and initiated a brief pursuit, that ended when the man jumped from the upper deck of the bridge, only to get caught in construction safety netting on the lower deck. Here is my original post, with photos, from the incident. 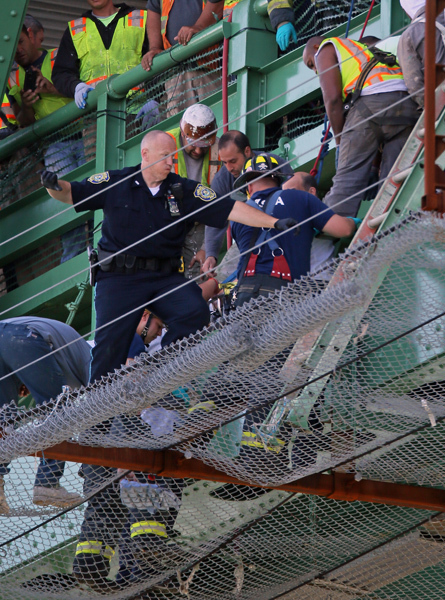 Below are more of my photos of officer McCarthy in action on the Tobin. 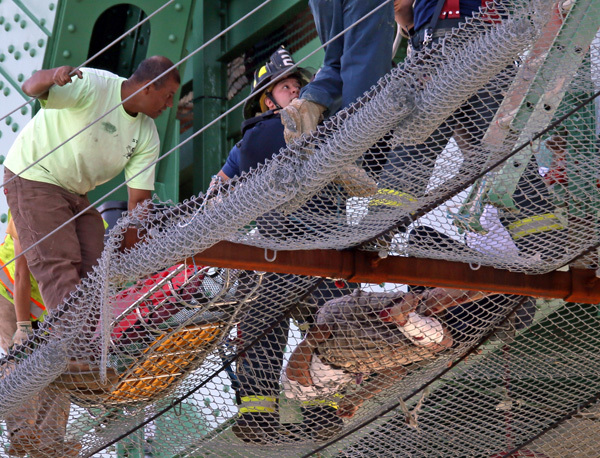 Photos were snapped during my Saturday shift as a Boston Herald staff photographer. 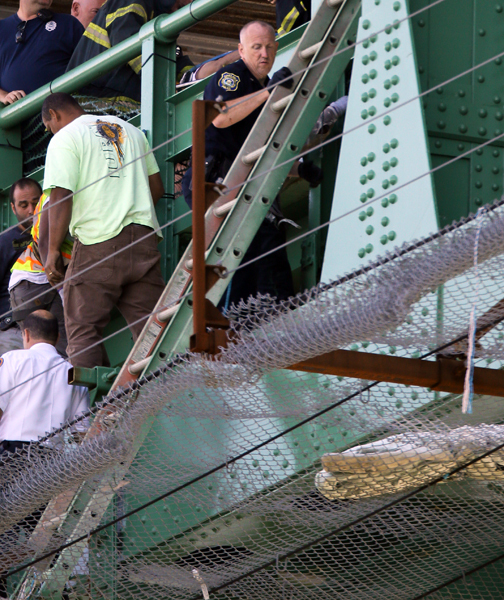 Man allegedly assaults wife, his car is chased to Tobin Bridge, he jumps off bridge, gets caught in netting. 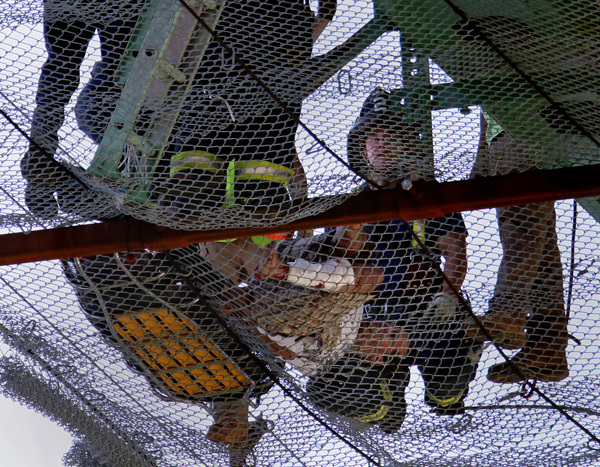 Chelsea police and fire department, along with Boston fire department, rescued a man from high above the Mystic River Saturday August 9. A man allegedly assaulted his wife with a knife in Malden. Malden police gave an alert, in the form of an all points bulletin, “be on the lookout” broadcast. A Chelsea police officer spotted his Lincoln Towne Car and gave chase. 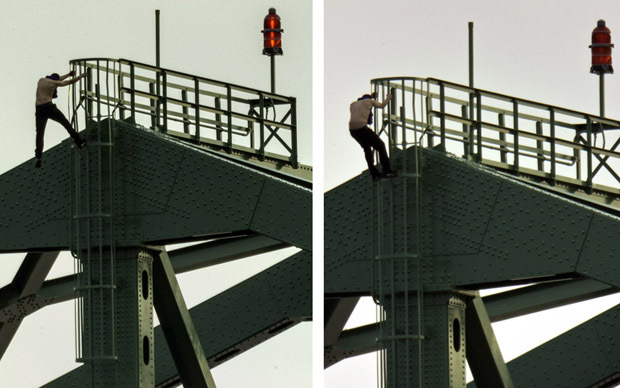 A brief pursuit ended on the upper deck of the Tobin Bridge when the man got out of his car and jumped over the railing. 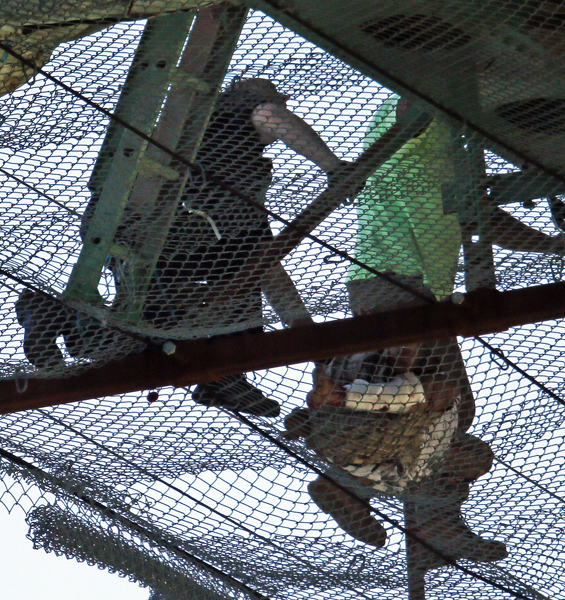 He was caught in the construction netting on the lower deck, approximately 50 feet below where he jumped from. He survived with a leg injury. 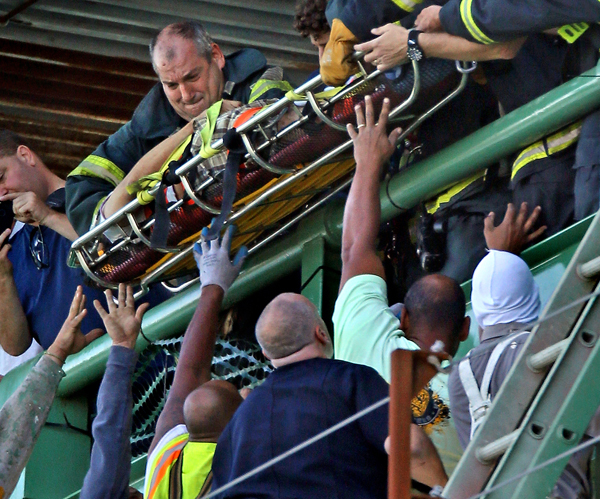 The rescue took approximately 30 minutes. 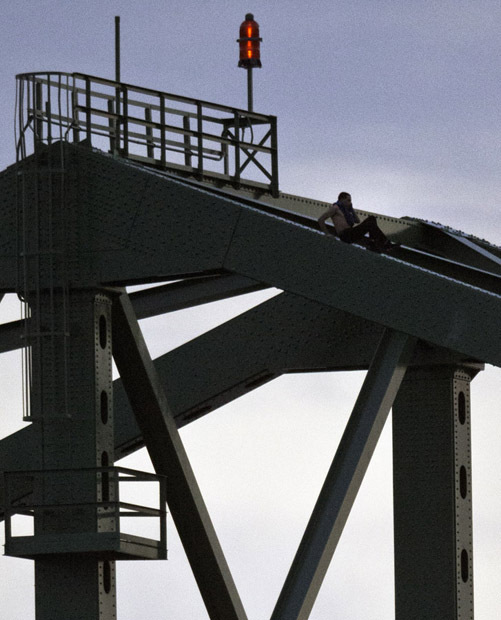 I was there, far away and under the bridge, with my 800mm lens and a 1.4x extender. Here are my photos. 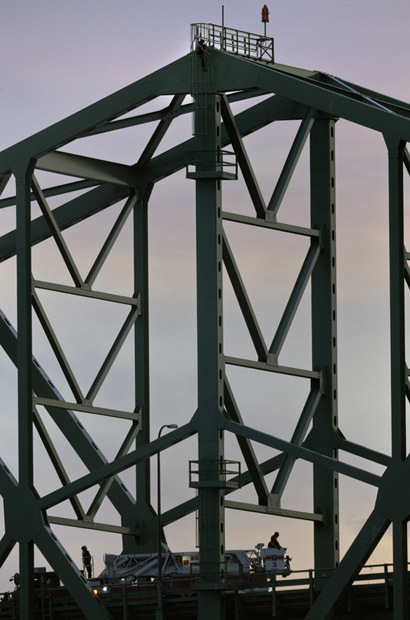 Posted in Uncategorized | Comments Off on Man allegedly assaults wife, his car is chased to Tobin Bridge, he jumps off bridge, gets caught in netting.